Apple is now accepting orders for the iPhone SE and the 9.7-inch iPad Pro through its online storefront and through the Apple Store app. Orders are available in first wave launch countries including Australia, Canada, China, France, Germany, Hong Kong, Japan, New Zealand, Puerto Rico, Singapore, the UK, US Virgin Islands, and the US. All of the major U.S. carriers, Verizon, AT&T, Sprint, and T-Mobile are accepting orders for the iPhone SE. Most carriers will start accepting orders at 12:01 a.m. Pacific Time, but T-Mobile will not accept orders until 5:00 a.m. Pacific Time. Big box retailers like Best Buy, Walmart, and Target will sell both the iPhone SE and the 9.7-inch iPad Pro, but it is not clear if the stores will offer orders on 3/24. There have been no rumors pointing towards supply constraints, and as the iPhone SE and the 9.7-inch iPad Pro both use components from earlier devices, we expect supplies to be plentiful and readily available. Ordering as soon as possible is still recommended, however, especially when it comes to accessories like the Smart Keyboard. With the launch of the 12.9-inch iPad Pro, the Smart Keyboard was in short supply. 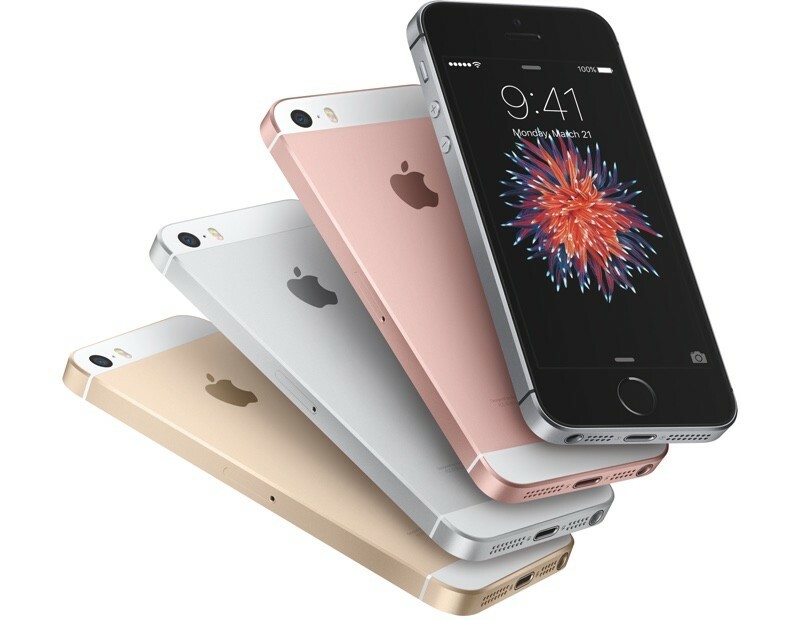 The iPhone SE is available in Silver, Gold, Space Gray, and Rose Gold, in 16 and 64GB capacities. Pricing starts at $399 for an outright purchase of the 16GB model, while the 64GB model costs $499. Customers can purchase the device on a payment plan with 24 monthly payments as low as $13.30 through a carrier or $0 down through a two-year contract. Through Apple's own Upgrade Program, monthly payments on the iPhone SE can be as low as $10 for 24 months with the trade-in of an iPhone 5s. Older devices can also be traded in with Apple offering $12/month payments with the trade in of an iPhone 5 or 5c and $14/month payments with the trade in of an iPhone 4 or 4s. 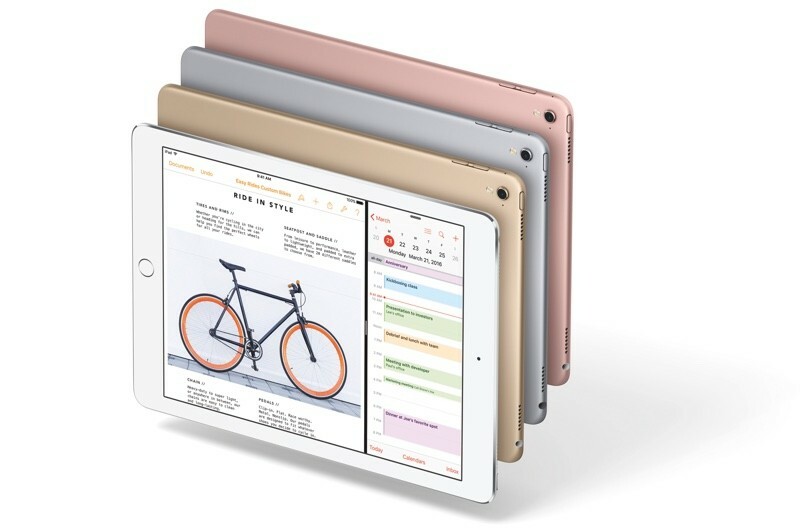 Apple's 9.7-inch iPad Pro is available in Silver, Gold, Space Gray, and Rose Gold, a color that hasn't been offered in an iPad before. It is available in 32, 128, and 256GB capacities for $599, $749, and $899, respectively. Wi-Fi + Cellular models in the same capacities are available for an additional $130. For details on the capabilities and features of the two new devices, make sure to take a look at our iPhone SE and iPad Pro roundups. 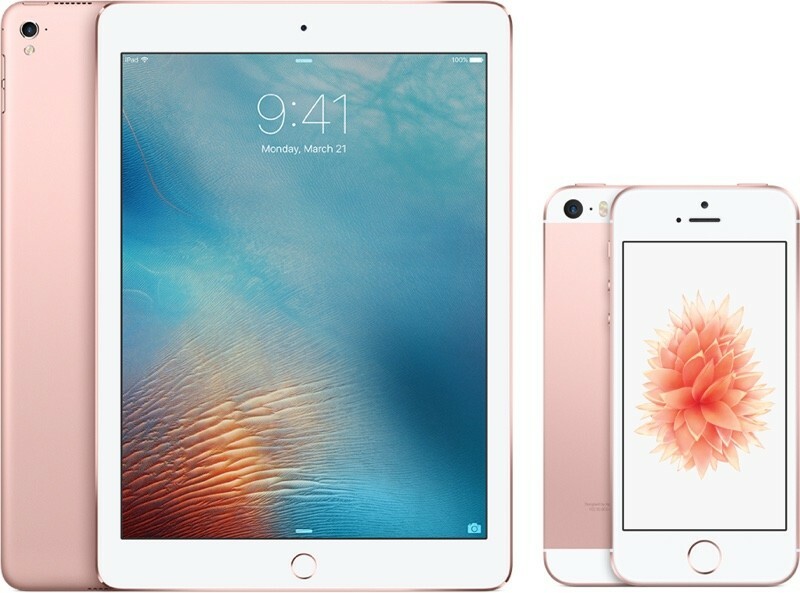 Deliveries for iPhone SE and 9.7-inch iPad Pro orders placed today will start next Thursday, on March 31. That is also the date when the two products will be available in Apple retail stores. please dont sell out. lets stand up against Apples recent choices together and show them they cant get away with everything they do. I ordered two just to offset yours. Some people on here need to get a grip. I'm almost glad that Apple didn't do a whole outside redesign of the SE because it would most likely turn out to look exactly like the 6s 4" super thin shell with the power button on the side. I hate the power button on the side. Just ordered my 128GB iPhone SE in space gray. Oh wait, that was just a dream I had... the one where Apple realized that 64GB iPhones came out 5 years ago. One can dream anyway. $1749 for 256gb iPad Pro in Aust. Apple have gone mad. I have a $500 Apple gift card and have been waiting for something to buy from Apple for years now. When I think what I can get for $1700+ and compare it to what Apple offers, I just can't do it. The iPad Pro still runs iOS for $1749. It's ridiculous. I hope everyone enjoys their new iPhones and iPads when they arrive next week. I'll enjoy my 6s Plus and iPad-less journey until the wonderful month of September! ;) iPhone 7 for the win! Too expensive for me the price on the ipad, it's a consumption device yet costs more than a decent laptop now. Never go with the number cycle, they're always plagued with problems. Always been great for me! Had every iPhone since the 4, minus the 5c. not up yet for me.